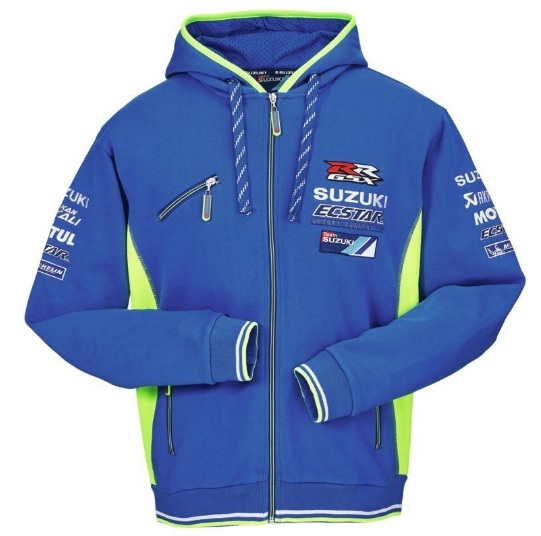 Team Suzuki Ecstar blue hoodie. Zip-up pockets and drawstring hood. All team and sponsor logos are embroidered to a high quality, 60% cotton, 40% polyester.